Another vote for the new crypto has started! You can cast your votes for 4 weeks. Coin, which will collect the most of them, will be added to CoinDeal! We remind you that only registered users can take part in the voting. 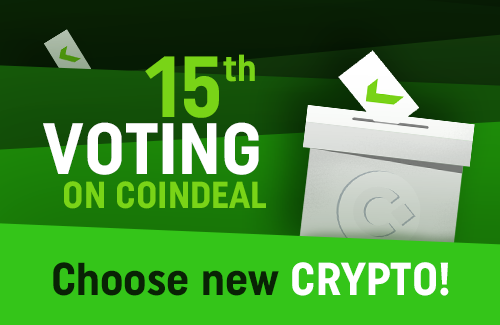 Every day you can cast 5 votes for different cryptocurrencies.